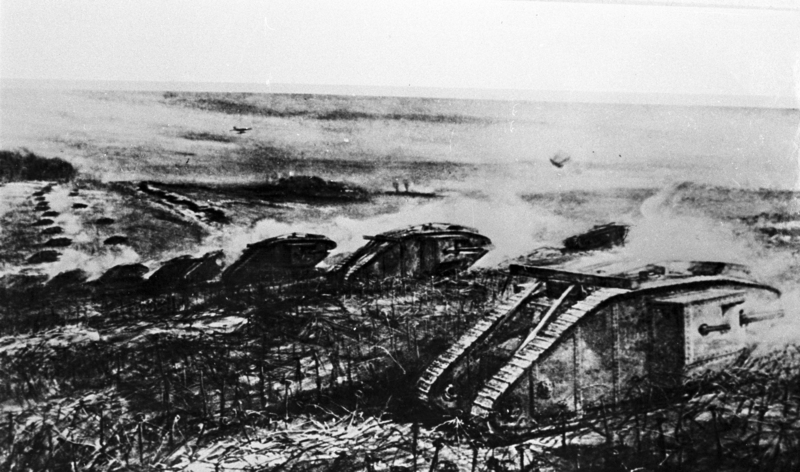 The Battle of Cambrai saw the first large-scale use of tanks in WW1 combined with artillery and infantry working in tandem. Punching through the heavily barbed wired German defences the success of the tanks on the first day was then followed by failure with the unreliability of the tanks plus strong German artillery and infantry defence. Within three days the Germans realised that the Allied breakthrough had failed and they themselves looked to deliver a decisive counter-attack using their newly formed stormtrooper tactics. By the end of the fighting on the 7th December neither side had gained any significant territorial advantage and at comparable losses of about 45,000 men on both sides. Cambrai however saw both sides put into action strategies that would lead to greater successes in the coming year.